The effects of the government shutdown have rippled all the way to the waters of Alaska. That was the message delivered on Capitol Hill Friday by Keith Colburn, an Alaskan crab fisherman and star of the Discovery Channel reality show The Deadliest Catch. Speaking before the Senate Commerce Committee, Colburn said the furloughs of staff from the National Oceanic and Atmospheric Administration mean they won't be around to assign quotas before the start of Alaska's crab fishing season next week. The quota assignments, required for all fishermen in the area, are doled out to prevent overfishing, with each fisherman entitled to a percentage of the total catch. 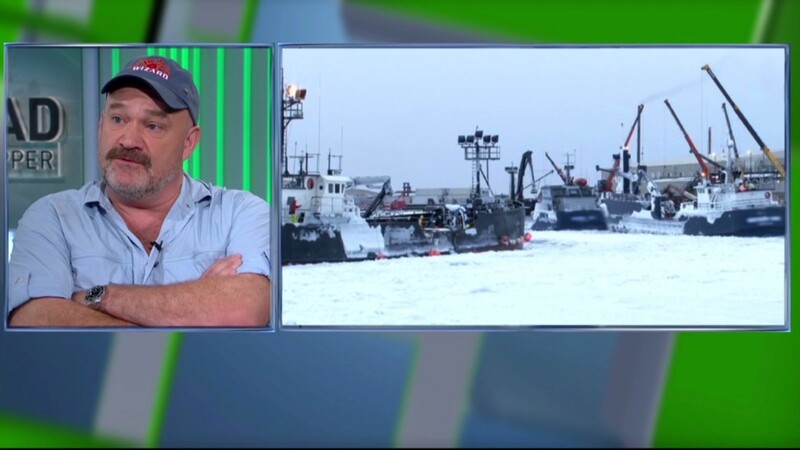 The Alaska fishery generates "hundreds of millions" of dollars in economic activity, Colburn said, providing jobs for thousands of fishermen, shippers, mechanics and other workers. Particularly frustrating, he added, is the fact that the fishery's management is funded by the fishermen themselves rather than federal appropriations. "We have been racking up bills getting ready to go fishing," Colburn said, noting that coastal communities around the country are facing similar problems. "If we're tied to the docks waiting for the government, we can't pay those bills." Colburn called on the Commerce Department to put the NOAA staff back on the job, warning that Russian fishermen could plunder the Bering Sea fishery while American boats sit idle. "I feel like we're putting the Russians to work and American fishermen out of work," Colburn said. In all, more than 400,000 federal workers remain furloughed, with hundreds of thousands more working without pay. House Republicans submitted a proposal Friday to temporarily raise the debt ceiling, addressing the other aspect of the current fiscal crisis, but did not include plans to reopen the government. The White House said in response that President Obama "has some concerns" with the plan because it would not end the shutdown that has reached its 11th day. The Senate committee also heard Friday from Deborah A.P. Hersman, chair of the National Transportation Safety Board, who said the agency had been unable to investigate a number of recent accidents as a result of the furloughs. Some 383 of the NTSB's 405 employees have been sent home. Marion Blakey, head of the Aerospace Industries Association, spoke of the shtudown's effect on aerospace and defense contractors who work with government agencies or need federal inspectors on site in the manufacturing process. Alan Leshner, head of the American Association for the Advancement of Science, said the shutdown was disrupting research throughout the government that in some cases requires continuous monitoring. And Rachel Weintraub, senior counsel at the Consumer Federation of America, said Americans had been put at risk by furloughs at watchdog agencies including the Food and Drug Administration and the Environmental Protection Agency. Senators from both parties kept the follow-up questions brief, spending most of their allotted time expressing frustration over the shutdown and its effects on ordinary Americans. "We often talk about the economy in abstract terms," said Sen. Jay Rockefeller, D-W.Va. "But what we're really talking about is millions of skilled and productive Americans, in both the public and private sectors, whose hard work and dedication make our country strong."